With Christmas less than a month a way it was time to get ready. 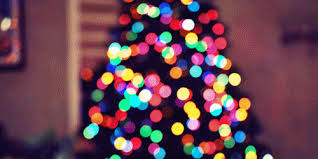 I just love Christmas, it's never too early to get ready for it. As many of you may already know I grew up in Germany and since I have moved to London I haven't experienced Christmas the German way. Also flight tickets are not very cheap during this season so I decided to bring German Christmas over here to London. It's actually quite easy. The German Christmas Season begins on the first Sunday of Advent. The Advent Wreath (Adventskranz) has 4 candles, one of which is lit each Sunday preceding Christmas. By the time it is Christmas Eve all 4 candles should be lit. This year the first Sunday of Advent is on the 30th November. Another German invention is the Advent Calendar which is now used in many European countries. This is supposed to help the children to count down to Christmas. They are usually made of Cardboard or they can even be self made. Each day starting on the 20th November (this year) one new window should be opened. On Christmas Eve families gather together and have dinner together. In the evening the gifts under the Christmas tree will be exchanged. No German Christmas should be celebrated without Glühwein. This is mulled wine. If you are too lazy to make some you also have the option to buy something very similar, just the Swedish version at Ikea. It's called "Gogg Apple". This contains no alcohol so for anyone that doesn't drink alcohol this is perfect. It does say on the bottle that you can drink it cold but it tastes the best when you heat it up and drink it warm. 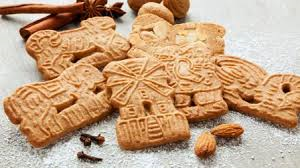 Plätzchen (biscuits in different shapes), Lebkuchen (Gingerbread), Spekulatius (cinnamon flavour biscuits) and Langos are typically to be found in almost every German bakery or store during Christmas. 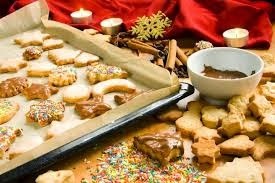 I like to make Lebkuchen at home but if you're too lazy for that, Lidl sells them every single year. I always have an alternative for lazy people. 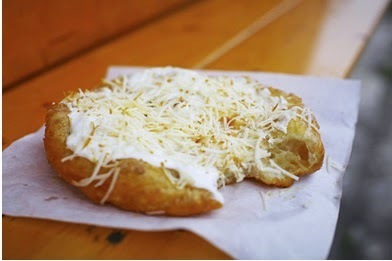 Although Langos isn't German (it's Hungarian) it is to be found at almost every German Christmas Market. Last but not least no Christmas should be celebrated without a visit to a Christmas Market, The best place that I would personally recommend in London is Winter Wonderland. Every year Winter Wonderland is at Hyde Park and has many fun attractions. One thing I really enjoy is the German Christmas market that comes there every year. They have Gluhwein there!! They also have many other traditional German things there. I will be going there very soon and I will be writing a more detailed post on it!